"Patton" stars George C Scott as General George S Patton, a famous World War II figure. It was directed by Franklin J Schaffner. The screenplay was written by Francis Ford Coppola. It is one of legendary actor Scott's most famous roles. The opening speech he makes at the beginning of the film has become famous and iconic. The film is based on real events and follows Patton's career during the war. Patton is a skilled military tactician, but his volatile temper and outspoken nature often lead to controversy. Patton leads his army to many significant victories over the Germans throughout the film, playing a major role in the ultimate outcome of World War II. However, he is disciplined after he slaps a soldier who is seriously injured. Patton again disturbs his superiors when he makes remarks about America and Britain ruling the world after the war. This is perceived as an insult by the Soviets. Once the war has ended, Patton becomes very blunt about his desire to attack the USSR. He is removed from his command post, but is still allowed to oversee the reconstruction of Germany. Patton earned a great deal of critical acclaim, capturing seven Academy Awards. It received Oscars for Best Picture, Best Actor (Scott), Best Director, Best Film Editing, Best Original Screenplay, Best Sound, and Best Art Direction. Film critics overwhelmingly showered the film with acclaim. Scott refused his award, because he did not agree with pitting actors against each other in competition. 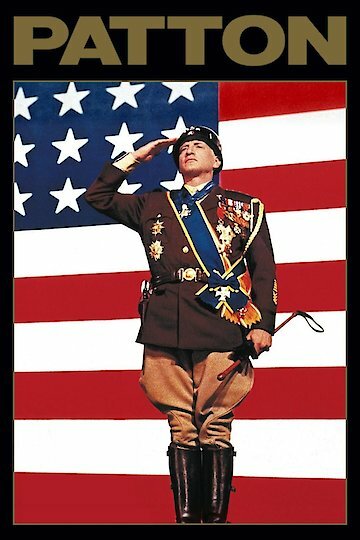 Many years later, in 2003, "Patton" was chosen to be preserved in the Library of Congress in the National Film Registry. Only films deemed to be "culturally significant" are inducted into this group. The general public also welcomed the film. "Patton" became a major box office success. Its success led to a sequel that was produced for television called "The Last Days of Patton." Scott once again portrayed the general. Patton is currently available to watch and stream, buy on demand at Vudu, Google Play, iTunes, YouTube VOD online.